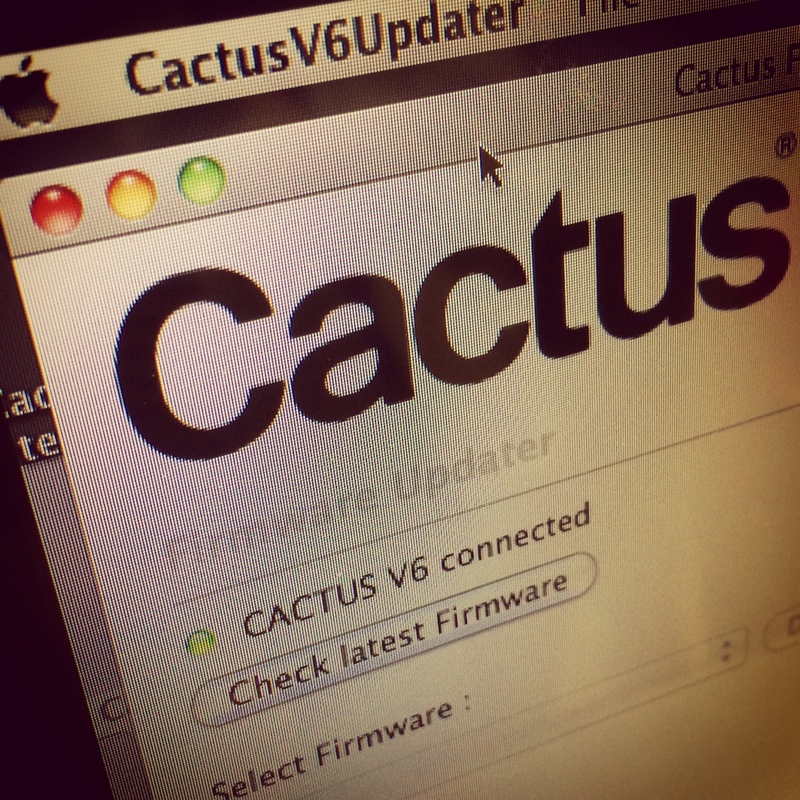 How do I update the firmware of my Cactus V6 Transceivers? Or if you have the Updater firmware already installed on your computer, you can click “CHECK FOR LATEST FIRMWARE” and you will be able to choose and update to the latest firmware. Note: At the moment the Firmware Updater is only available on the Windows platform. Have any plans to launch the firmware update for the Mac platform? Suggestion: send the updated equipment. I imagine they must have already produced solids for some time, but the three that I bought came with an early firmware (1.0.144). We received numbers of request about the firmware updater for Mac platform. We are aware that there is a huge demand for Macintosh / Mac users. Hence, we will investigate the possibility of the Mac version in the future. You really should strongly consider a Macintosh firmware update. Like macafoto, I'm Macintosh based and many photographers tend to be. I know I returned Yongnuo triggers because they lacked a Macintosh-based firmware updater. I totally agree with you. We will consider the firmware updater for Mac seriously. As a Mac User who owns 6 of your V6's, I too am patiently awaiting your release of a Mac based updater. I can supply a photo of all 6, or put you in contact with Midwest Photo Exchange in Columbus, Ohio where I bought them. I have run into issues on shoots where several of the Cactus V6s would "lock" in at 1/128 power and would not allow me to change until I removed the batteries and left them unpowered for 25 - 30 minutes. the future". Hopefully you have made progress in the past 3+ months. If you have not yet "investigated the possibility", can you supply an address when I can ship them to and have you update the firmware before shipping back? I have run into issues on shoots where several of the Cactus V6s would "lock" in at 1/128 power and would not allow me to change until I removed the batteries and left them unpowered for 25 - 30 minutes. It seems that your V6 doesn't work as it should. Maybe you use factory rest or change with new battery to try solving the problems. In case that doesn't work, you can contact your dealer for product warranty. Nevertheless, you can send it back to us for checking or firmware update. Please contact our customer service at info@cactus-image.com for more info. You engaged the "dial lock" feature that was introduced to avoid unintended changes to the power levels (e.g., by moving the dial against your forehead while shooting). Simply long-press on the dial (or "OK" button) to disengage the "dial lock" mode. In case y'all didn't see our post on Facebook and Instagram yesterday, the Mac version of the Firmware Updater will be released soon! Wonderful news ... hopefully it'll be released in time for the holiday season.